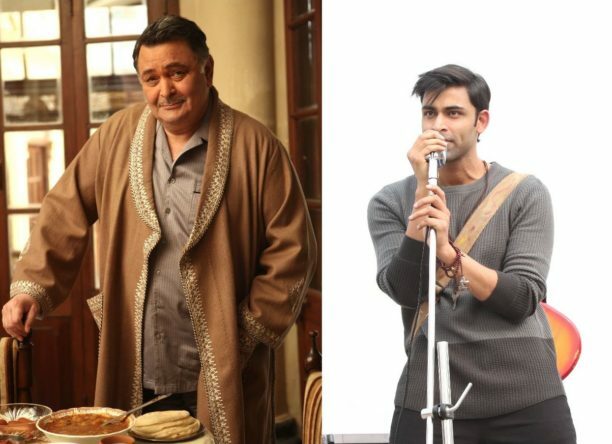 Rishi Kapoor introduces his on-screen son, Anirudh Tanwar from Leena Yadav’s Rajma Chawal. The film revolves around the quirky relation share by father and son share in the virtual world. The film looks at a very contemporary issue – social media and its impact on relationships. Rajma Chawal, a quirky father-son and “social media” relationship, directed by Leena Yadav, starring Rishi Kapoor, debutant Anirudh Tanwar and Amyra Dastur. Presented by SaarthiE and Produced by Capt Gulab Singh Tanwar, Leena Yadav and Aseem Bajaj. The film release on August 31st.